Archaeologic The BBC Micro – the machine which, along with the Sinclair ZX Spectrum, epitomised the British home computer boom of the early 1980s – was launched 30 years ago tomorrow. 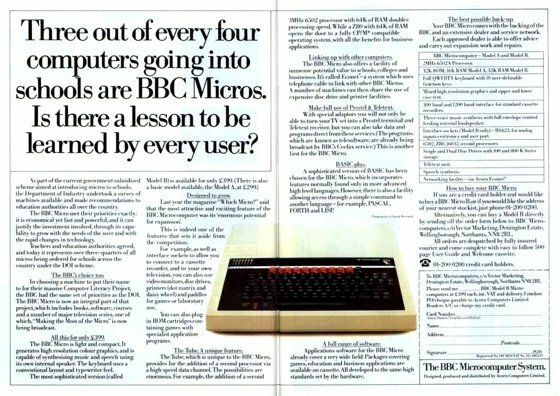 Unveiled on 1 December 1981 as the Model A and Model B, the BBC Micro would go on to sell over 1.5 million units before the last of the line was discontinued in 1994. 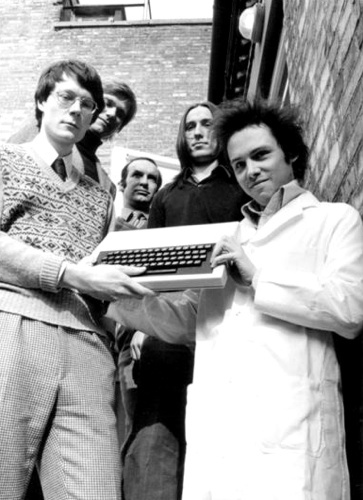 The BBC Micro was designed and manufactured by Acorn, a Cambridge-based computer company founded by Chris Curry and Herman Hauser on 5 December 1978 as Cambridge Processor Unit (CPU). Curry had quit working for Clive Sinclair's Science of Cambridge (SoC), where he had developed the MK14 microcomputer kit. Sinclair was less enthusiastic about the project than Curry, who came to believed that the only way to take the product to the next stage – to build and sell a computer for home use – was to do so outside of SoC. Hauser, a physics researcher at Cambridge University, agreed. He was aware of the many young, talented computer scientists and engineers working at the university and was able to help CPU quickly tap into this resource. 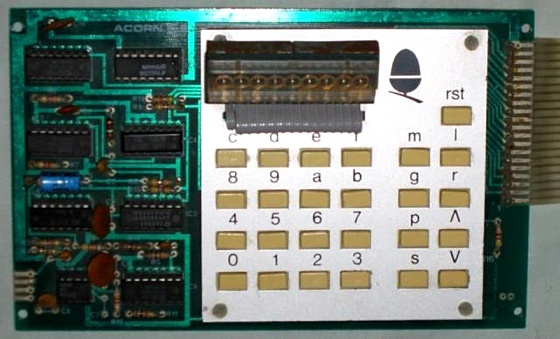 CPU first developed a controller for Ace Coin Equipment's one-armed bandits, funding the work on the Acorn Microcomputer – later called the Acorn System 1 – which was launched in March 1979. During the following months, Sinclair began work on the ZX80. 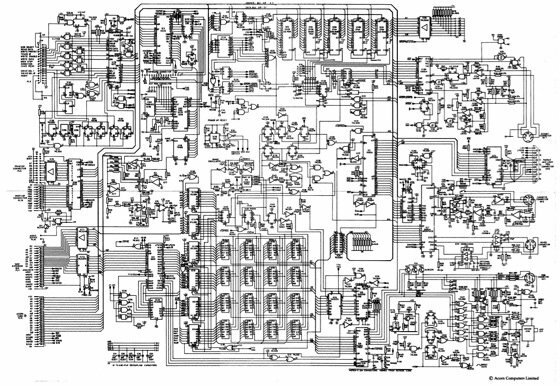 Unlike the motherboard-and-not-much-else MK14 and System 1, the ZX80, although sold primarily as a kit the user would assemble, was designed as a cased product with the potential to appeal to a much broader audience than electronics hobbyists. That move, in turn, may well have inspired Curry to drive the development of the next Acorn machine, the Atom. Seeing the possibilities, Curry and Hauser recast CPU as Acorn. 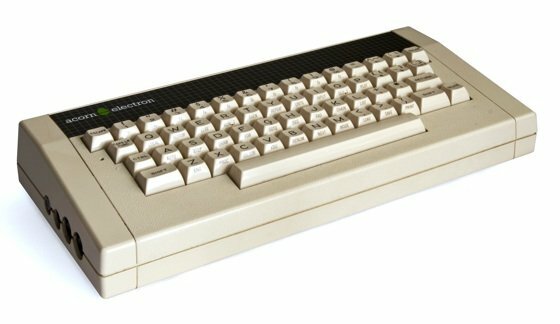 And, a year later, in March 1980, the Atom was launched as the first Acorn Computers machine, combining a case with an integrated keyboard – with moving keys, unlike the ZX80's flat ones – and what was essentially a System 3 motherboard within. And with the Atom's launch, Acorn's development team began work on its successor, codenamed Proton, a machine they hoped would be a more serious machine than the one-up-on-Sinclair Atom. Before the Atom had even been launched, executives at the BBC's education programming department, enthused by rival broadcaster ITV's 1979 series The Mighty Micro, developed a plan to help encourage ordinary Britons to learn to use computer technology. The Mighty Micro, presented by physicist Dr Christoper Evans and based on his book of the same name, had forecast how computer technology would utterly change working practices and the economy in the near future. 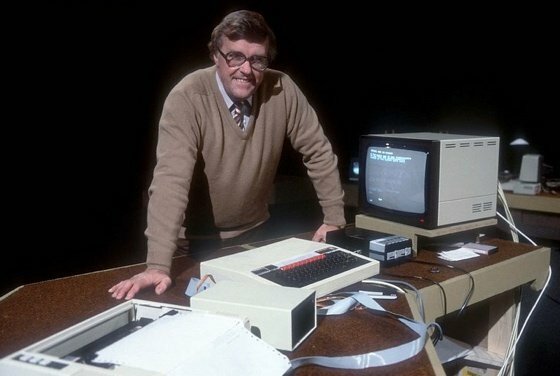 He'd seen how the computing scene had exploded in the US on the back of kit from the likes of Apple and Commodore, and how it had not merely appealed to enthusiasts, but had also begun to transform business. In 1979, the BBC produced a three-part series, The Silicon Factor, to explore the social impact of the microchip revolution. In November of that year, the Corporation began preliminary work on a ten-part series, provisionally titled Hands on Micros and scheduled to be broadcast in October 1981. It would introduce viewers to the computer and help get them using one. It would also form the launch of what would become known as the BBC Computer Literacy Project (CLP), steered by The Silicon Factor Producer David Allen. 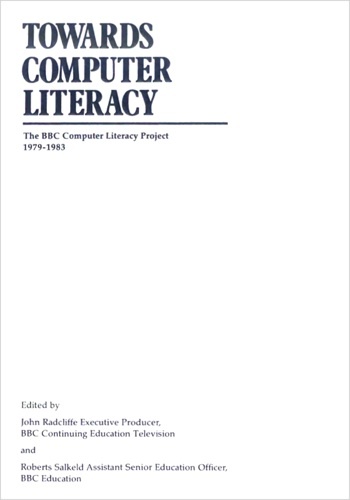 In March 1980, the BBC began a consultation process to shape the Computer Literacy Project. It discussed the scheme with the UK government's Department of Industry, the Department of Education and Science, the Manpower Services Commission, and other organisations. By happy chance, it learned that the DoI was planning to name 1982 the 'Year of Information Technology'. It was decided that the Computer Literacy Project and the TV series that would launch it needed a machine which the public could buy and use to gain hands-on experience of what was being discussed in each episode. Only that way would the audience truly engage with the new technology and the goals of the CLP be realised. Around it would be assembled a full array of guides, adult-learning courses and software packages. However, the BBC quickly realised that, with no standard platform available, particularly when it came to Basic, the lingua franca of home micros and the language the show would be using to present examples of programming, it would have to specify one itself. With currently available machines all sporting different dialects of Basic, it was felt that choosing one of them would hinder viewers who had bought a different machine. The only option, then, was to define a standard, to specify a machine that would incorporate a Basic that would have a great deal of commonality with other dialects, but would be well structured to foster good programming practice. It would specify all the features a computer ought to possesses, even if those features – such as floppy disk and hard drive support, extended I/O options, and the ability to download programs over the air through the Teletext system – were absent from many current machines. It became clear that to give this 'standard' some weight, it would need the BBC's clear stamp of approval – to be, in fact, the BBC Microcomputer. That, in turn, would necessitate the close involvement of BBC Engineering, the department charged with handling all of the Corporation's technical endeavours. Building a new machine from scratch was impossible – it would take at least two years, more than the Computer Literacy Project schedule allowed. So the CLP team decided to approach the likes of Acorn and Science of Cambridge – soon to be renamed Sinclair Research. In all, the BBC met seven computer companies in the UK, six of whom were keen enough to detail how they would work with the BBC and the machine they would produce. It has been claimed that the BBC was leaned on by the government to choose one company in particular: Newbury Labs. At the time, the government's National Enterprise Board (NEB) owned Newbury, which was developing a computer that might meet the BBC's needs and could certainly do with the money a BBC-promoted product was sure to generate. Newbury had acquired the NewBrain project, begun in 1978, from Sinclair Radionics, of which the NEB had gained ownership after rescuing the pocket TVs and calculators company with a major cash injection. 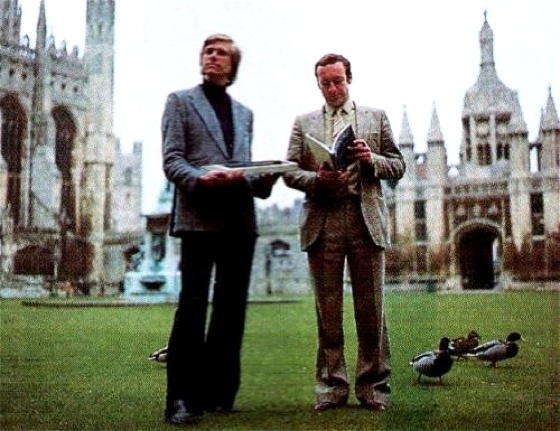 Radionics eventually collapsed anyway, allowing Clive Sinclair to join Science of Cambridge, which Chris Curry had earlier established on his behalf, and for which Curry created the MK14. The NewBrain, however, was retained by the NEB and handed to Newbury to develop further. The machine's long gestation was not accelerated under the stewardship of Newbury. Legend has it that, having selected the NewBrain, the BBC soon learned that development problems would ensure the machine wouldn't be ready in time for the planned October 1981 broadcast of Hands on Micros. That, it's said, forced the BBC to reschedule the series, which would eventually transmit as The Computer Programme in January 1982. BBC documentation from 1983 confirms that difficulties implementing the hardware did indeed prompt The Computer Programme's broadcast schedule to be put back. But these difficulties were not those being experienced within Newbury Labs. The documentation says that Acorn, having demonstrated a working prototype of its putative BBC machine – the Proton, essentially – was awarded the BBC Micro contract as early as February 1981. A separate BBC document from June 1981 details a full BBC Micro specification right down to launch pricing that matches exactly what the BBC Model A and Model B machines would actually deliver when they were finally unveiled to the public in December 1981. 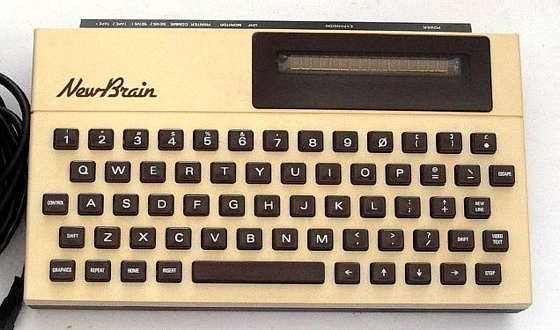 Was, then, the NewBrain ever a serious contender for the BBC Micro? It certainly seems the case that Newbury was one of the seven companies approached by the BBC during its 1980 consultations, quite possibly at the behest of the NEB. If the NewBrain was the Corporation's first choice, subsequently dropped, Acorn being signed as a hasty substitution – as Acorn's Chris Curry was alleging as early mid-1981 – it must have been signed up in 1980, and not so very long after the BBC began approaching manufacturers. As it stands, the NewBrain did not go on sale until July 1982 – by then the NEB has sold Newbury Labs to Grundy – so it's clear that any claim that Newbury might have made that it could launch a BBC Micro in September or October 1981 would have been optimistic in the extreme. 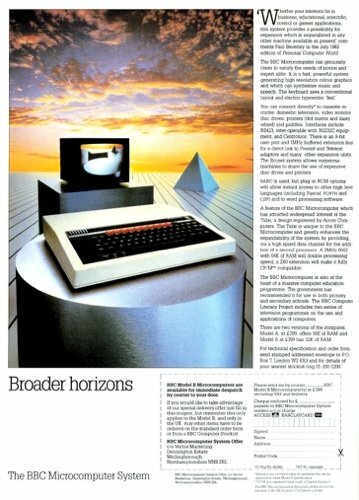 Even choosing Acorn in February 1981 didn't prevent set-backs: due seven or eight months later, the BBC Micro / Proton, didn't launch for a further two months. The Basic code wasn't finalised until September, leading The Computer Programme's production team to fear they wouldn't have kit they'd be able to use when they went into the studio to record the episodes in November. How different the Proton would have been had Sinclair or another company won the BBC's backing, is open to question. 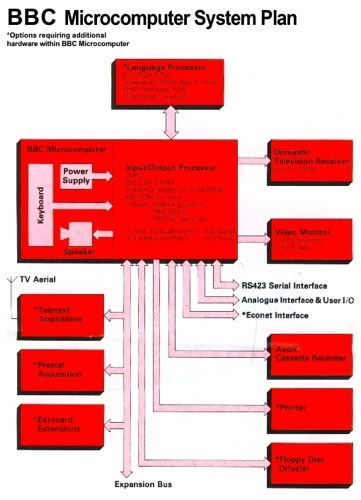 The 6502 CPU, the "Tube" secondary-processor bus, Econet networking support and much of what became known as BBC Basic at least would have been part of the package. The casing would not have been much different. With the BBC's imprimatur of quality, however, the Acorn machine proved a much bigger success than it might otherwise have been. On the back of positive comments from the computer press and the promotional opportunity provided by the TV series, it was decided by the BBC and Acorn to commit to the production of no fewer than 12,000 machines during The Computer Programme's January run and repeat broadcasts in April and June 1982. 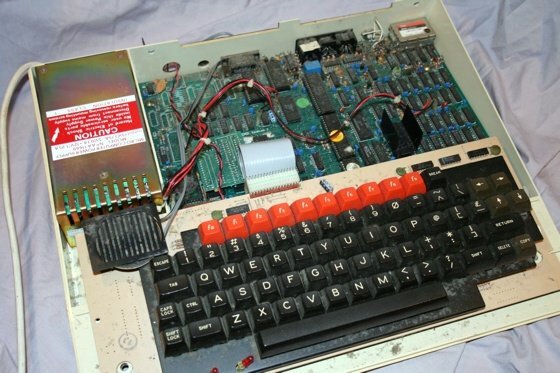 Having launched the BBC Micro Model A and Model B in December 1981, Acorn quickly took all those 12,000 orders in the weeks before Christmas. The computers would then ship in January. At launch, the Model A was priced at £235 and equipped with 16KB of memory. It lacked many of the graphics modes and other features integrated into the 32KB Model B. The latter quickly became the most popular model of the two and a lust object for young geeks the length and breadth of Britain. However, increasing production costs very quickly pushed the prices up and, in January 1982, the A and B were priced at £299 and £399, respectively. Many enthusiasts forced to use cheaper machines – Sinclair's £99 ZX81 and £125/£175, 16KB/48KB Spectrum; the £129 4KB Commodore VIC-20; and others – tried hard to persuade parents to stump up for the pricier machine. Others sold their current machines and took on paper rounds to finance the rest of the purchase price. School playgrounds quickly polarised into BBC – or 'Beeb' – and Spectrum camps, with the odd folk with Dragon 32s, Oric 1s, Texas Instruments TI-949/4As, Commodore VIC-20s and, later, 64s, oscillating between the two groups. Both BBC Models were based on MOS Technology's 6502A processor clocked at 2MHz. Their 16KB and 32KB of memory ran at 4MHz, allowing the graphics sub-system and the CPU equal time access to the memory, ensuring that the video chippery didn't hinder the processor's performance – as was the case with other home systems. The Model A's reduced memory meant it was unable to drive all the system's possible graphics modes, labelled 0 to 7, the latter delivering the Telextext system courtesy of a dedicated chip on the motherboard, dropped from the A to keep the overall price down. It was the highest resolution modes – 0 through 3, including two-colour 640 x 256, four-color 320 x 256 and eight-colour 160 x 256 – that the A could not support. 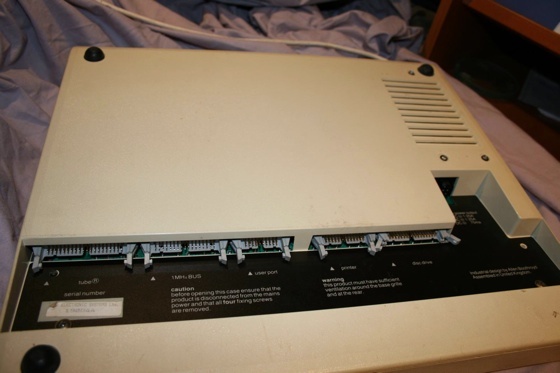 Both units had UHF output to drive a TV, but the Model B also had a six-pin DIN connector for a monitor. Four-channel sound was generated by a Texas Instruments SN76489 chip. There was a separate port for cassette recorder storage, but Acorn offered an optional floppy disk controller for the higher-spec machine, and the really keen could equip a Model B with a hard drive controller and interface that tapped into the machine's "1MHz Bus". Again, the Model B had RS-232 and Centronics parallel interfaces as standard, both absent from the A. Ditto the 20-pin "user port" for I/O projects, and the 40-pin Tube bus which allowed optional secondary CPUs to be hooked up. A 16KB Rom chip held Acorn's Machine Operating System (MOS) and a second 16KB Rom stored the BBC Basic interpreter. With all that tech, it was no surprise the Model B was so expensive. Equally, to geeks, the technology's absence from the cheaper Model A made that a far less desirable purchase. Not that the Model A was unpopular. In 1981, the Department of Industry had decided it would subsidise half of the price for each Model A Britain's schools purchased. Unsurprisingly, many of them took up the DoI's offer. 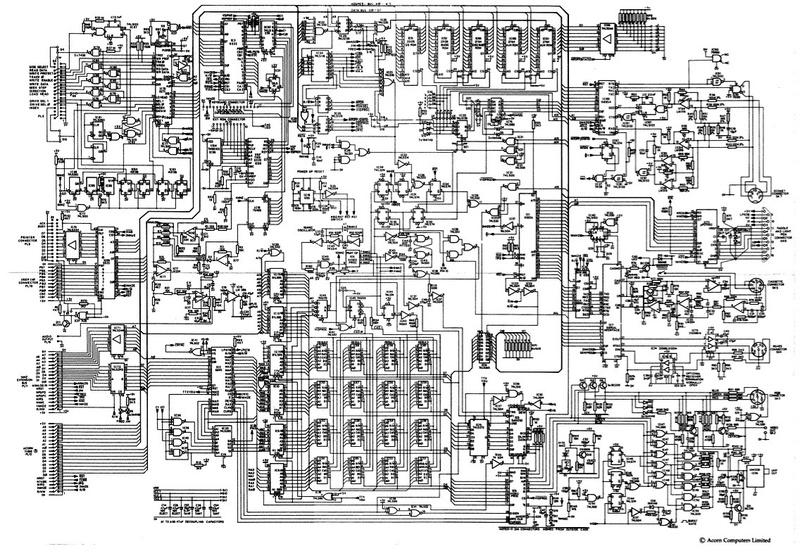 Acorn had planned to produce 3000 machines in January 1982, but a flaw in the hi-res graphics chip discovered once production was underway ensured far fewer of these parts were available to build into the machines than expected, setting the manufacturing process back. By the time The Computer Programme was broadcast, only a few hundred BBC Micros had shipped. By the end of the January, 1000 BBC Micros had been produced. Some 2500 more rolled off Acorn's production lines during February, followed by 5000 more in March. But by the end of April the order backlog stood at 20,000 units. Production continued to be ramped up, and Acorn was able to report in October 1982 that the backlog had been almost eliminated. New orders were being dispatched in a matter of weeks rather than months. That same month, the DoI extended its offer to the more popular, but more expensive Model B, an offer taken up be educational establishments with relish. By Christmas 1982, more than 67,000 BBC Micros had shipped. Acorn went from a company with a turnover of less than £1m in 1979-80 to revenues of more than £20m within two years. That paved the way for Acorn's September 1983 flotation on London's Unlisted Securities Market, a process that made Chris Curry and Herman Hauser millionaires. 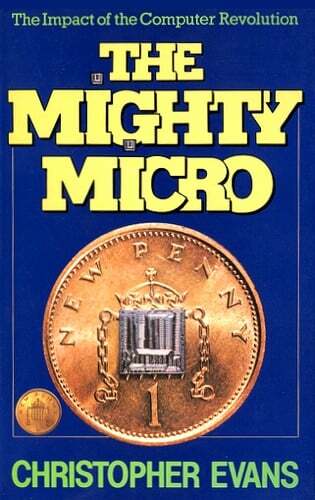 But for many would-be buyers, the BBC Micros were too costly. Consumer resistance to the high price of the BBC machines persuaded Chris Curry to propose a cheaper follow-up machine, the Electron, in the hope of winning over the big mainstream – and generally games hungry – audience Sinclair's low-priced Spectrum had grabbed. The £199 Electron would use BBC Basic and all but one – the Teletext mode – of the BBC Model B graphics modes. The Electron debuted in August 1983, just ahead of Acorn's flotation. 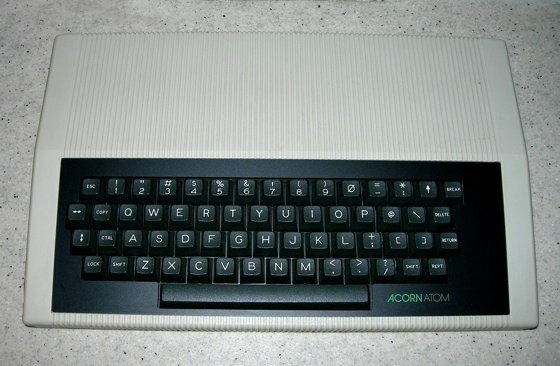 However, Acorn's suppliers proved unable to manufacture anywhere near enough of them to satisfy consumers' demand for home computers that Christmas. 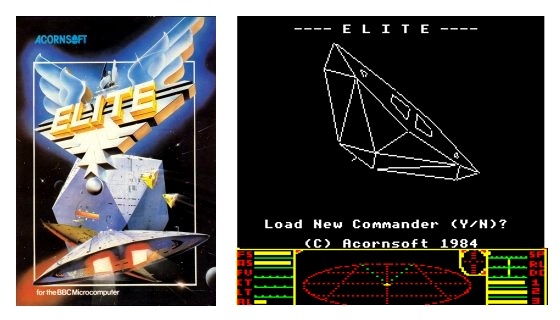 Some of them took the extra cost on the chin and acquired Beebs – other punters bought rival machines, like the Dragon 32, launched, like the Electron, in August, and the Commodore 64, which only entered the UK in December 1983. 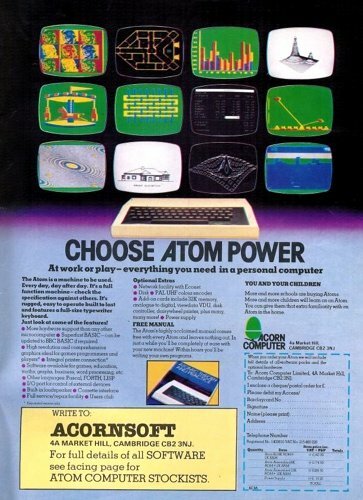 Determined not to suffer the same fate in 1984, Acorn drove production hard… right at the point the UK home computer market reached saturation point. So many machines had been sold for Christmas 1983 no one wanted on 12 months on. Though the BBC Micros continued to sell, albeit more slowly, Acorn was left with stacks of unsold Electrons. In February 1985, to avoid being wound up by its creditors, Acorn was sold to Italy's Olivetti. 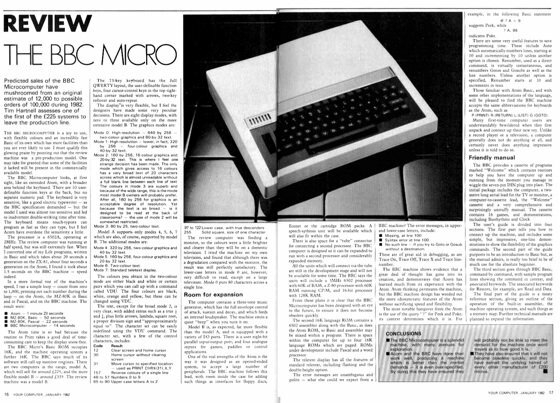 Throughout this time, the evolution of the BBC Micro continued, gaining extra memory – 64KB and then 128KB – and culminating with the debut of the BBC Master in February 1986. It was intended to tap into the schools and colleges market that formed the core of the original models' sales – to the extent the previous schools' favourite, Research Machines, had already ensured its 1983-launched 480Z, the successor to the popular 380Z, ran a version of Basic that closely followed BBC Basic. In June 1987, Acorn released the Archimedes, a desktop computer based on its own ARM2 processor. Two of the first four models – the A305 and the A310 – were marketed with BBC branding and shipped with a BBC Micro emulator on board for backwards compatibility. But by now the BBC Computer Literacy Project was a distant memory, though Model B graphics and sound effects could still be occasionally seen and heard in Doctor Who. The author would like to thank all those fellow enthusiasts for scanning and uploading so many adverts and manuals from the 1980s, without which this article would have been much less detailed.